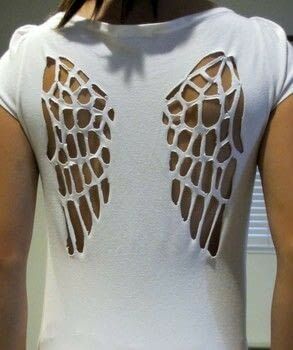 You can cut up the back of any shirt, preferably cotton/jersey fabric. 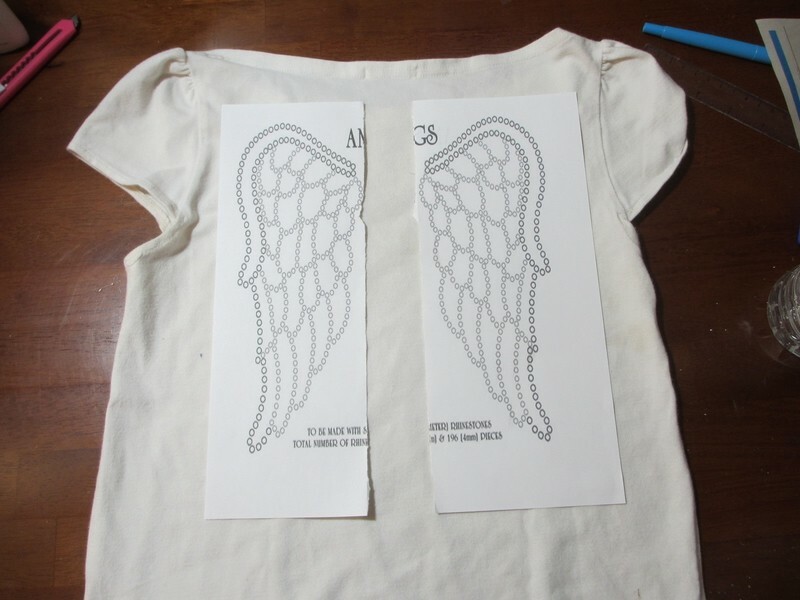 Print out an angel wing template. 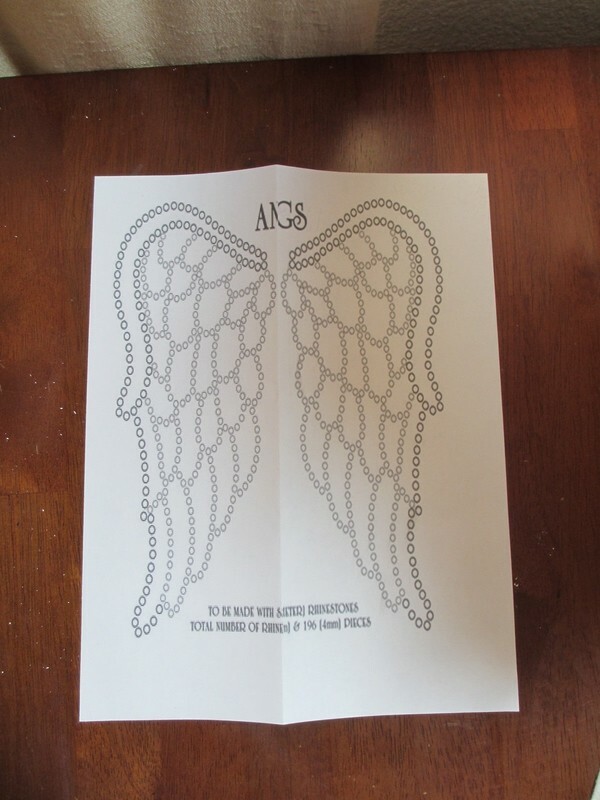 You can search "angel wing coloring page" etc., or use the file I have attached. Lay the template out on your shirt where you want the wings to be. Turn the shirt inside out, and put the templates under the first layer of the shirt. 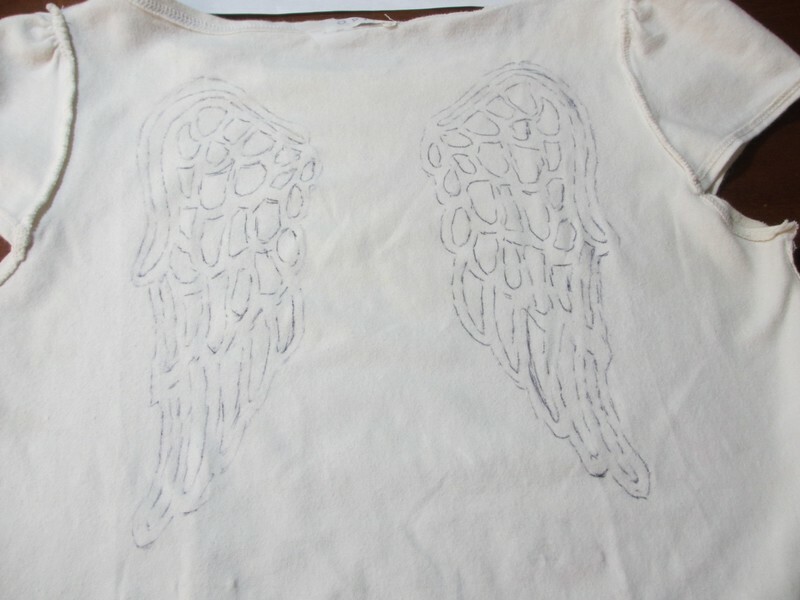 Trace the wings onto the shirt; tracing on a window might help. 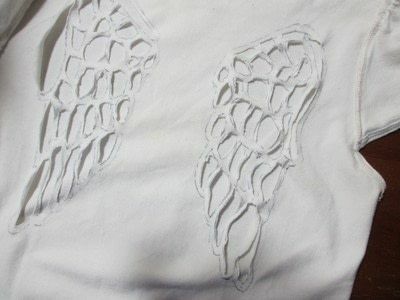 Cut out the holes. Be careful, don't cut out the outline. Also, if you use the attached template, don't cut out the top part otherwise you will get a "flap". I cannot get template to open. Does anyone know if you need a special type of tracing paper for the template? And can you use marker to trace it? So very cool! Definitely want to try this. Did you have trouble cutting the small parts with the scissors?